Hey, everyone! Today we're pouring a couple new molds. First, our artists must create the pieces. These pieces are carved completely by hand. 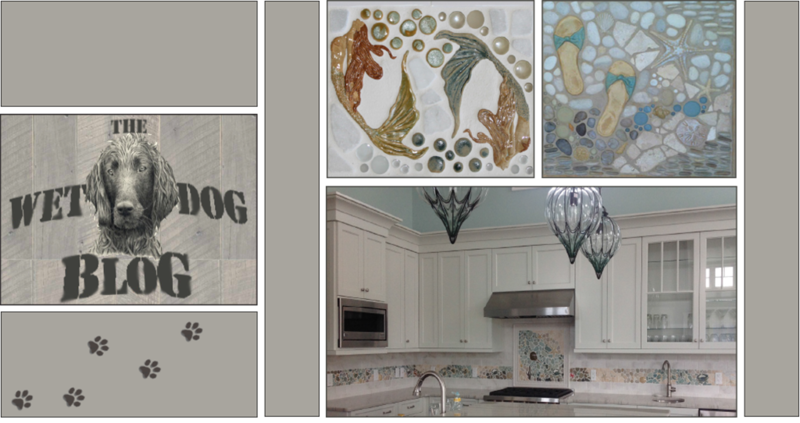 We're re-pouring our 10" Swimming Mermaid w/ Shell from the Ocean Dog Collection. There's nothing noticeably different - we just needed a new mold! This lobster will be a new piece! It's 4" long - quite a bit smaller than our regular 12" lobster. Once the pieces are carved, they must go into the mold form. Clay is put into the creases to, not only prevent leaks, but to keep the edges of the soon-to-be-mold nice and smooth. The piece and form are both coated in an oil mixture to make the pull-away process easier. With all the new polymers and resins on the market, we choose to keep it old school and use a traditional plaster for our molds. Not only is it more environmentally friendly but we feel it delivers a product of comparable, if not better quality. Once the plaster is at the right consistency we're able to pour it into the molds. Once the plaster is poured it's left to dry. We'll be leaving these over the weekend and will update everyone next week! Have a great weekend!